In this modern aeon, washing machines are necessity of every house. Affording a maid or servant for washing clothes is too much as compared to the cost that washing machine takes. After spending a tiring day at office and look to clean a bundle of clothes at home can be unmanageable. These machines offer the advantage of performance, productivity, simplicity, and less cost. 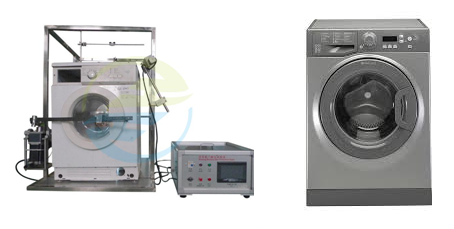 The above standard deal with safety of electric washing machines (household or similar use that are manufactured to wash clothes and textiles having rated voltage less than 250V for single phase and 480 V for other appliances. Appliances intended to be used in location where special conditions prevail. 1 8 Protection against live parts. 3 Test Probe. 2 10 Power I/P & Current Single Phase Variac. 3 11 Temperature Test Temperature meter. 5 13.3 Electric Strength Test Electrical Safety Analyzer. 9 16.3 Electric Strength Test Electrical Safety Analyzer. 10 17 Transformer Overload Protection Single Phase Variac, Temperature meter. 20 23.5 Electrical Stress test Electrical Safety Analyzer. 21 25.2 High Voltage test Electrical Safety Analyzer. 24 27 Earthing test Electrical Safety Analyzer. 30 Electric Strength Test Electrical Safety Analyzer. 34 15.2 Spillage Test/ Electric Strength Electrical Safety Analyzer. Why ITC India Pvt Ltd for testing Washing Machines?